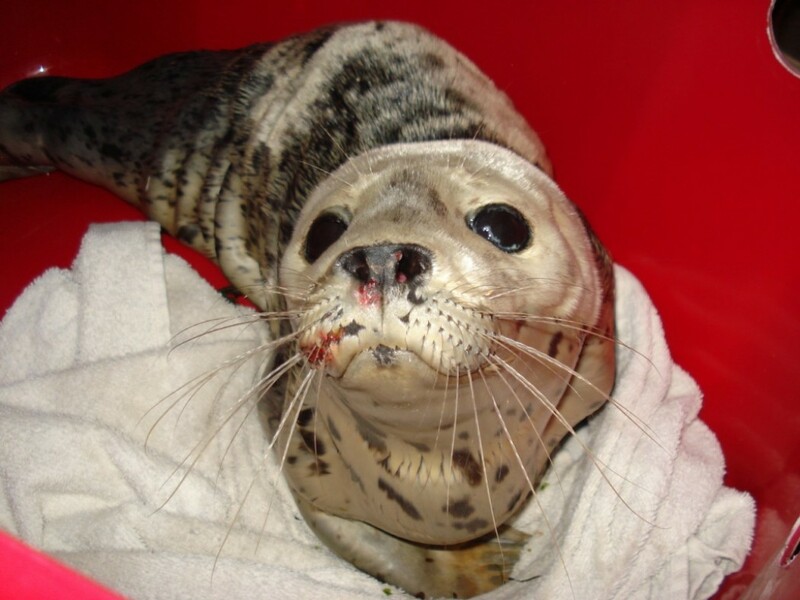 Thanks to the caring people of Gabriola and the quick response of GROWLS, a baby seal is safe. At 7:45 last night GROWLS received a report of a baby seal in trouble on the rocks along Berry Point Rd. There was no time to lose as the tide was coming in. The pup was in trouble - somewhat dehydrated, with some visible scrapes, and an injured front flipper. After loading into the special GROWLS bin and with the help of kind bystanders Christian and Timothy, the pup was carried to a waiting vehicle. It spent the night in the care of a GROWLS volunteer and then this morning was transported in Norm's helicopter to Vancouver Aquarium for care. Get well little one.